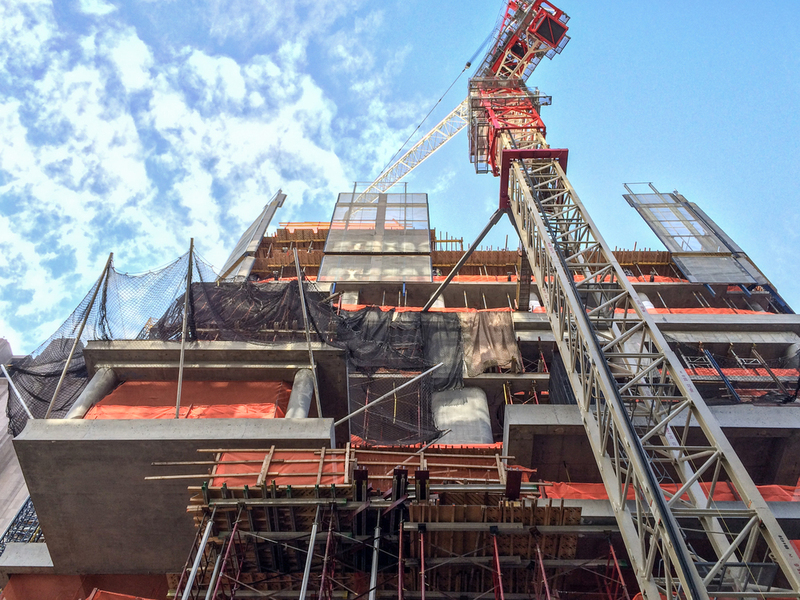 Work has progressed slowly on Herzog & de Meuron's first New York project, with concrete superstructure barely surpassing ten floors after starting construction in the spring of 2013. The residential tower will reach a height of 821 feet (250 m) with 145 unique apartments on 57 floors. Units will shift outward from the rectangular envelope at various locations to create balconies that also provide visual interest to the tower, though much of this strategy occurs in the floors closest to the street and in the penthouses on the top nine floors. On typical floors much of the visual effect of shifting volumes is achieved by conventional slab extensions that form balconies with glass railing. The exterior envelope is conceptually a basic window wall construction where glass units rest on and are anchored to the slab, which is left exposed at its edges. Here, the architects have shaped the concrete slab edge with a concave form to provide a refined look to an otherwise banal detail. 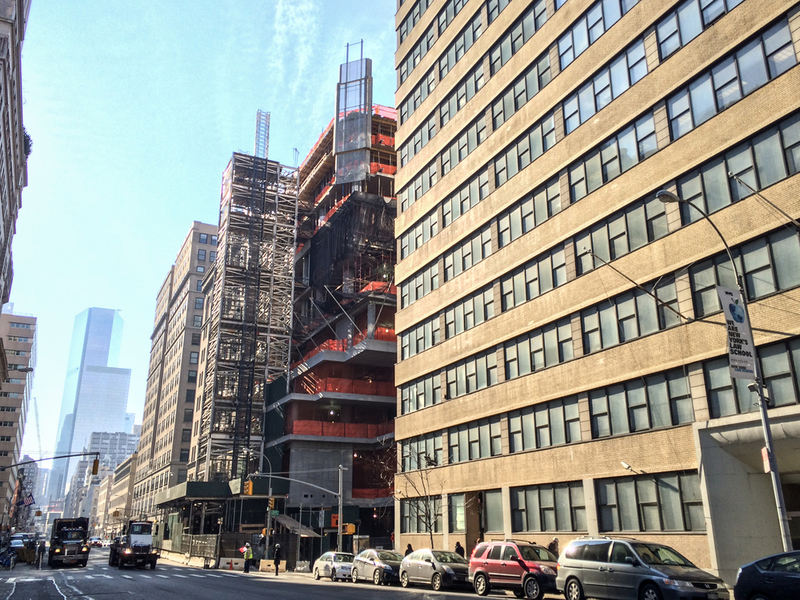 For now, planned completion is estimated for 2016 by the architects.